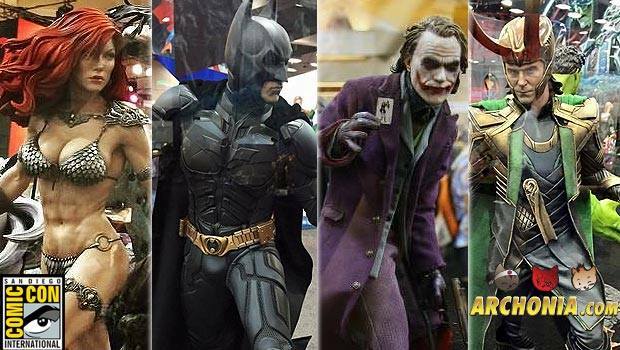 San Diego Comic Con opened its doors last week and thousands of people attended the biggest event in geeky culture, while most of us sat at home and witnessed its glory from afar. As I have shown in this weeks Geekly News Round-up, Comic Con has been filled to the brim with exciting comic and comic book movie news that will have our heads spin for quite some time. 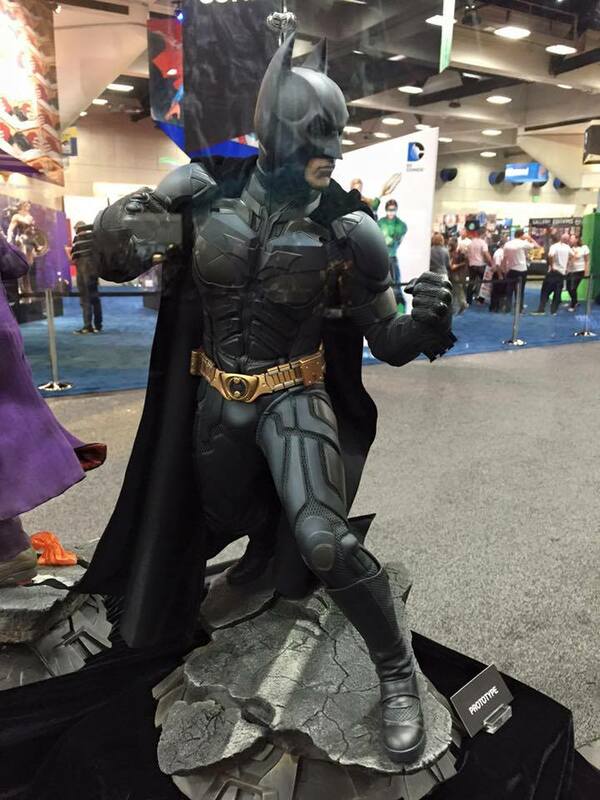 Today is not about that however… today is about what amazing new statues and collectibles have been announced and shown for the first time at SDCC, just to wet your appetite for them, when they become available for pre-order in the coming weeks! This is not a comprehensive list, but a selection of our favorite things we saw, so if you think we missed a special highlight, let us know in the comments. The pictures you are going to see are not ours, since we couldn’t make our way to Comic Con, so if you want credit for a picture you might have taken thats being used here, or you want it removed, feel free to e-mail us about it or comment under the blog. But now we are off to our little statue highlights reel! 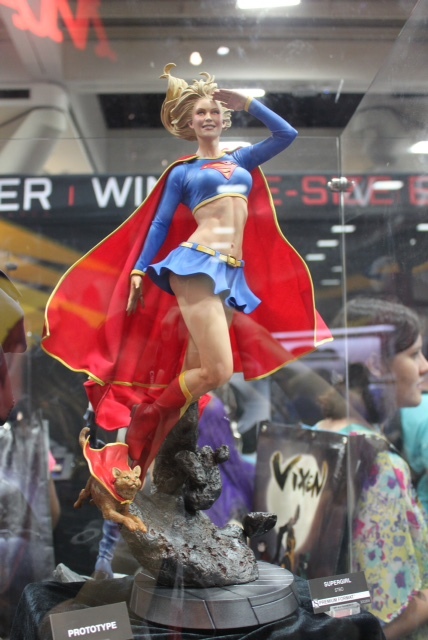 On a puretechnical level, this is in my opinion not only the best statue of San Diego Comic Con 2015, but also one of the best things Sideshow has ever done. OH.MY.GOD. Look at the epically detailed base, the finely sculpted muscle tone. Statues don’t get any better than this one, which is a must have for any Red Sonja fan, or at least everyone who doesn’t get to sleep on the couch for a few weeks after bringing this half nacked medieval supermodel into the house. Well… even that would be totally worth it. …arrives. Yes, Bale’s Batman won’t be alone for long, it seems. His psychotic nemesis from the second movie of the trilogy isn’t far behind. 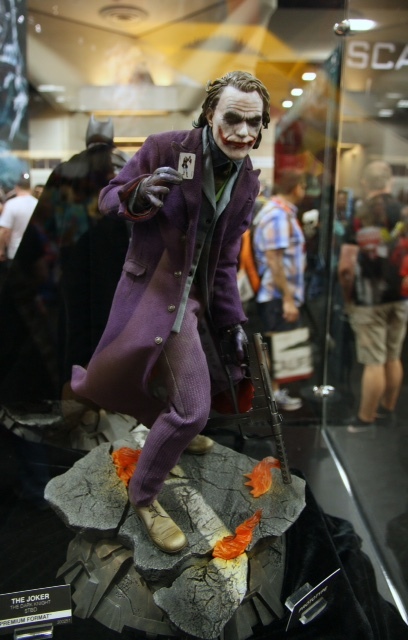 In a very cool, dynamic pose, Ledger’s Joker Premium Format Figure is taunting Batman with his Jokercard, while having his machine-pistol at the ready behind his back. While this is not an exact pose from the movie, I think it captures the essence of the character phenomenally. The headsculpt is pure Ledger. He comes with fully fabric clothes, from the purple pants, the coat, to the jacket, to the vest, button down shirt and tie, everything is real fabric and it even looks like the coat is going to be fitted with wires, so you can pose it in dramatic fashion, for Joker’s street battle with the Batman. 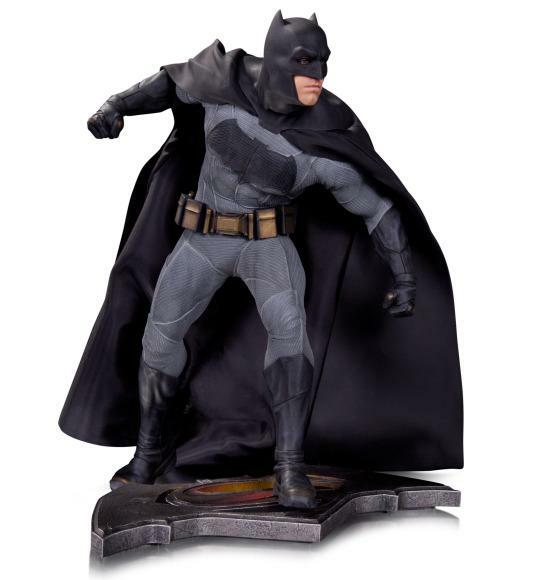 Joker comes with the same style of base as Bale does, so you will be able to put em side by side, or even face to face to have it look like a fight is going to break out. Man… I really need those two. If the symbiote costume look has always been your favorite (as it has been mine), this is THE Spidey to own. It is a variant of the red and blue statue you can see in the background, but in my opinion the cooler piece to get. 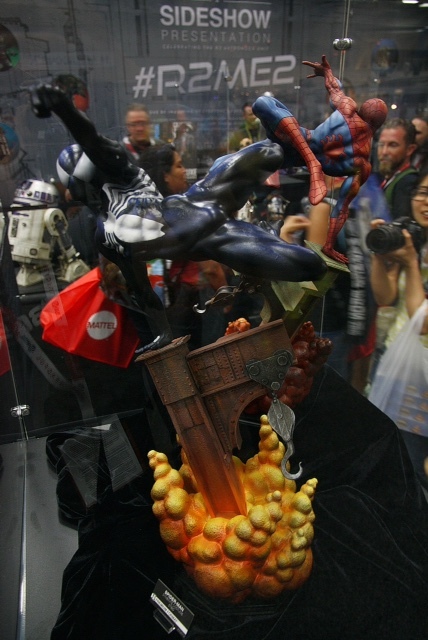 The pose is one of the best Sideshow has ever done, in my opinion, and a perfect pose for the webslinger, who seems to get his alien clad behind out of the range of an explosion. Sideshow didn’t even forget to give him another web slinging gesture for his hand, as he doesn’t do the iconic Spidey web shooting hand, but more of a extended fist to shoot webs in this costume. Attention to detail, folks. I love it. Next up: Batmankoff! 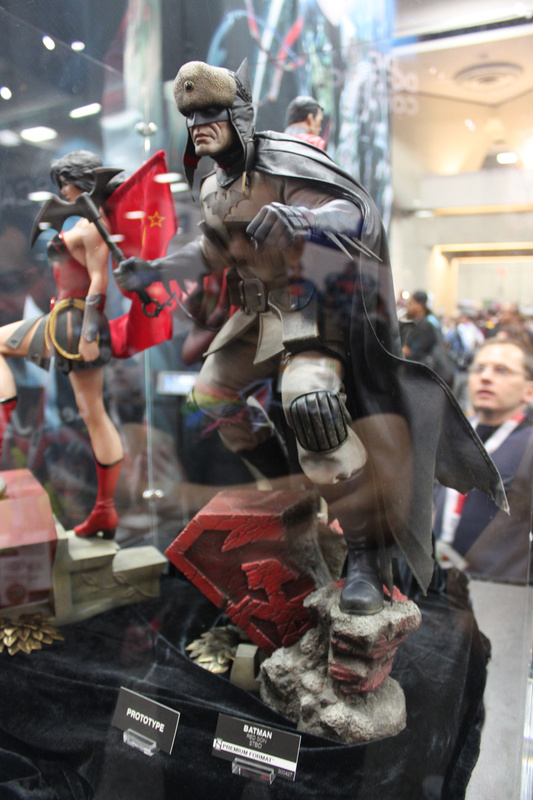 The Red Son version of Batman is not a variant of the original Batman Premium Format Figure, but a whole different sculpt, unlike the Red Son Superman and Wonder Woman. He stands atop a destroyed Red Son base, ready to take on evil dictator Superman! Straight out of the Elseworld graphic novel Superman Red Son, comes this version of our favorite vigilante. A really cool and really different look, I must say. 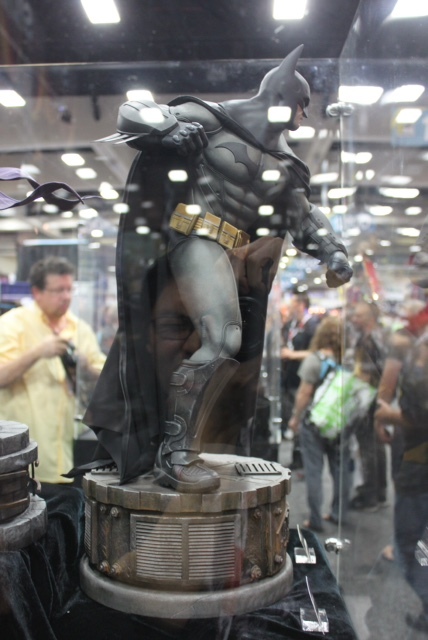 Sideshow knows what we all want and it is of course more, more Batman stuff. Who can blame them when he is still probably the most beloved superhero ever AND has so many great looking different versions! This is the Arkham Asylum Batman from the videogame, and he looks ready to beat up a thug or 30! Him you can actually already pre-order right now. 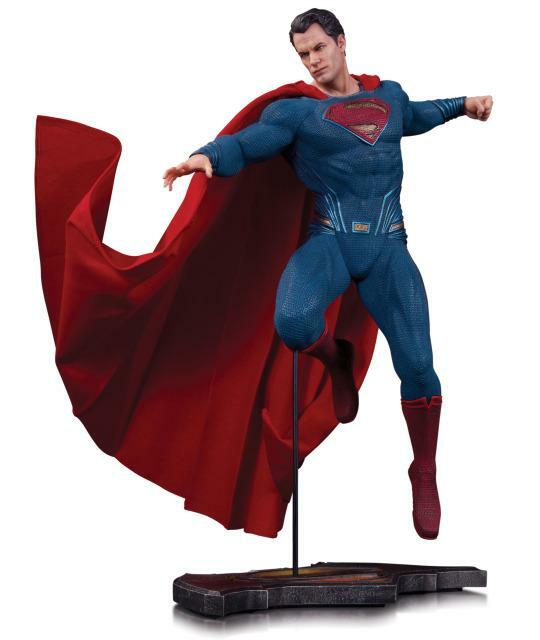 Kal-El’s cousin comes to us as a newly announced Premium Format Figure as well! She even brings Streaky the Supercat with her and stups for a quick salute, before stopping the next alien invasion! I think she looks stunning, especially with that lifelike face sculpt. The cape is fabric and the base looks like a meteor she just stopped from crashing through a few buildings in downtown Metropolis! Very cool piece! Sideshow finally did it and unveiled their long planned, long discussed Aquaman Premium Format Figure! 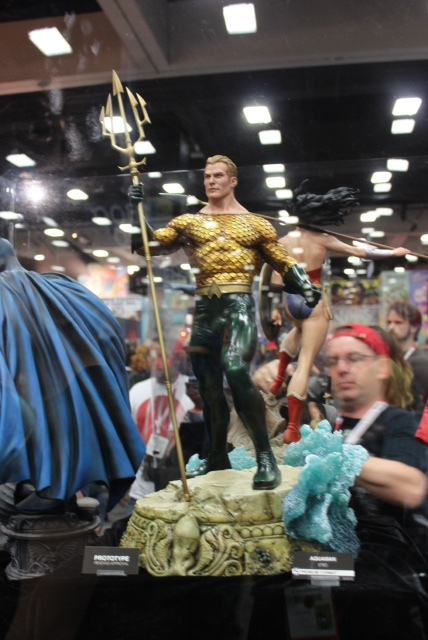 He is in his classic/New 52 look, holds the mighty Trident of Neptune and stands on an amazingly detailed base with cool water effects in the back. A must for Aquaman, DC, or Justice League fans who want to have the whole big 7 line up of the team. 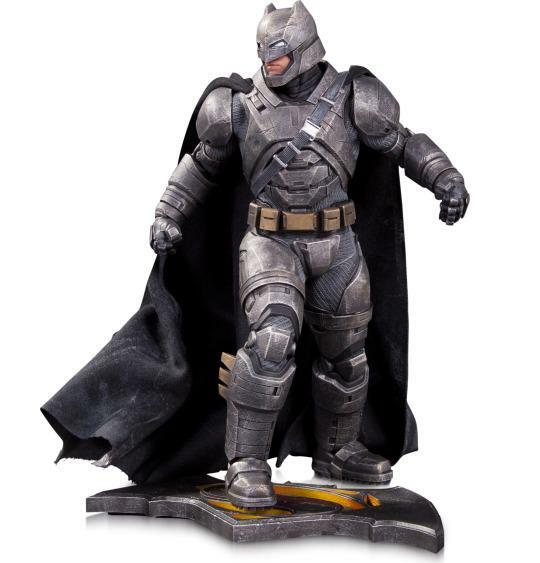 For everyone who was blown away by the recent Batman v Superman trailer and everyone who does want a more affordable statue in a smaller scale, come these three BvS statues. Superman in a cool flying pose, Batman in his normal outfit and in his Mech suit! Last but definitely not least comes Loki, from the Avengers movie! 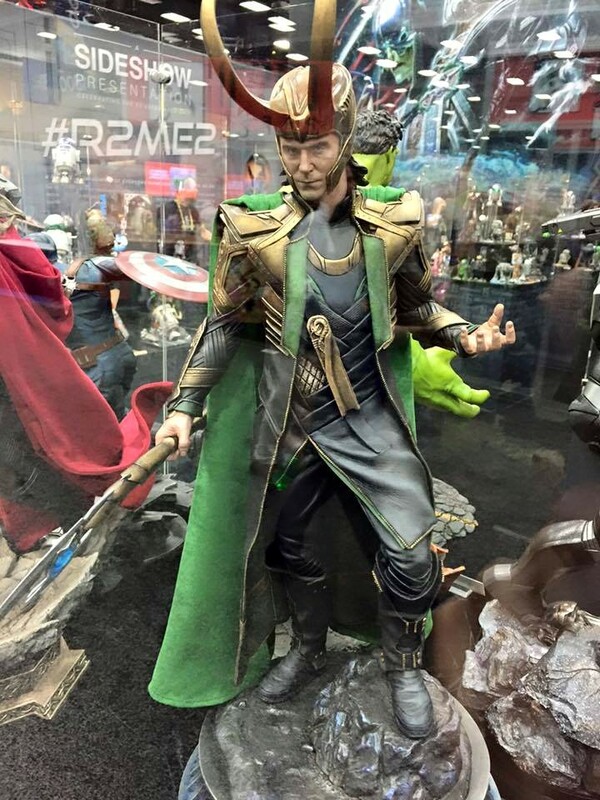 Tom Hiddleston’s epic portrayal of the Marvel Cinematic Universe’s coolest villain is an epic thing to behold and it is only right that he gets an equally epic statue from Sideshow Collectibles! With an amazingly tailored mixed media costume, this statue is a knock out! Even the likeness of Hiddleston is really spot on! Holding his scepter and ready to use, Loki looks like he shouldn’t be messed with… unless you are the Hulk, of course. A must have for fans of the MCU and, dare I say, by far the best Marvel movie related statue Sideshow has done yet! Either on his own or paired up with his brother’s statue from either the first Thor movie or the Dark World, this Loki is breathtakingly realised!